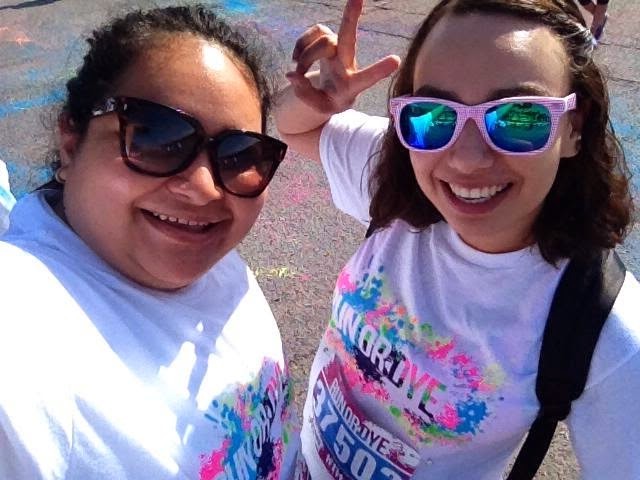 In April I went to Run or Dye with one of my good friends. I don't know about other countries, but here in the States there are these kind of events everywhere. It's basically a 5k race, but it isn't really a competition. 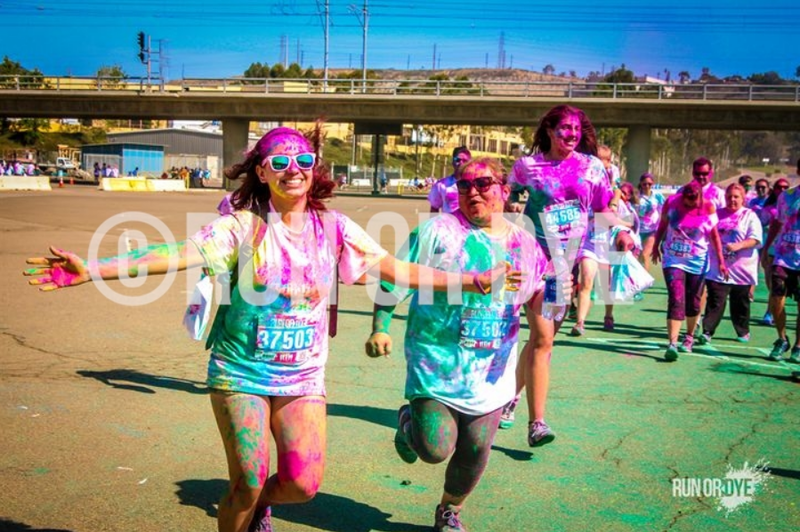 It's fun because they throw at you colored corn starch at you while you run. 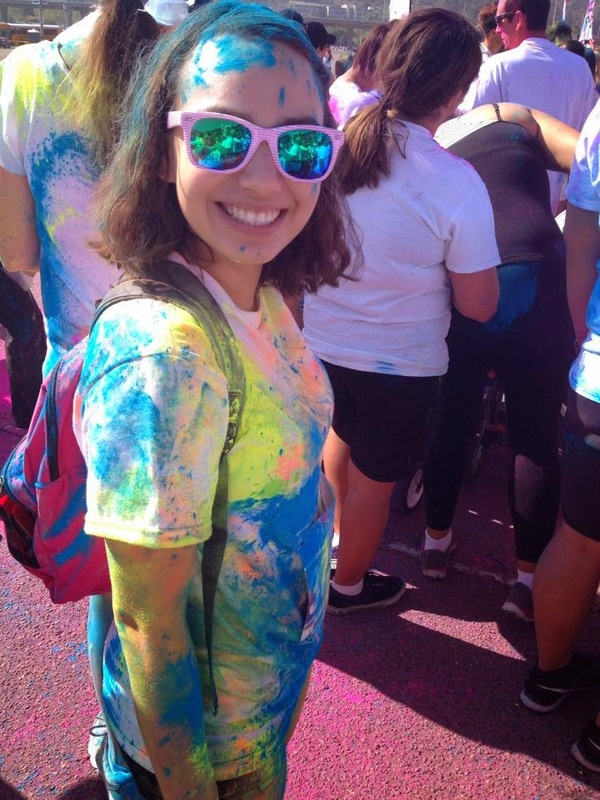 They gave us a "swag bag" and it contained colored cornstarch, we traded colors with some other people we met at the start line and enedup starting the race looking like this. 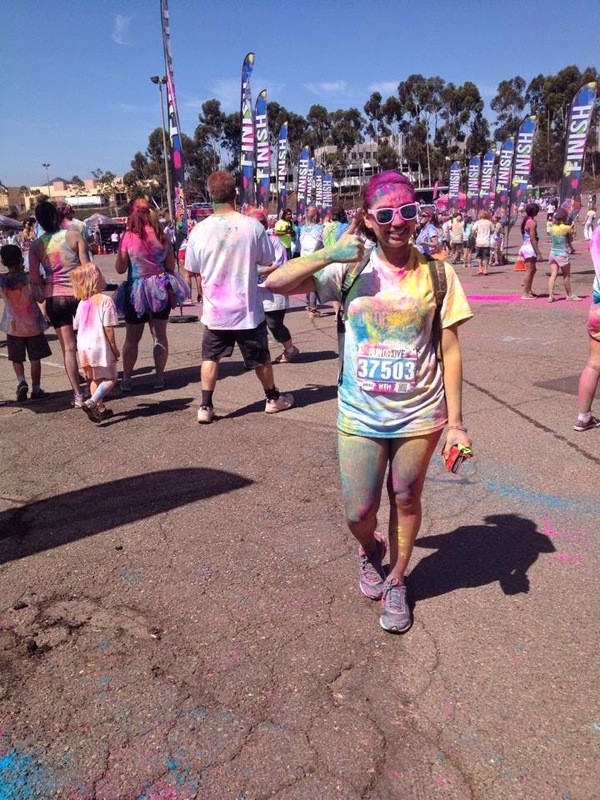 I had fun, BUT I will not do it again with Run or Dye. Here is why. Like in any other event they have photographers, and they take pictures of you while you are running, and then you can purchase them later. Well, a photographer took a picture of me and friend running. Here it is. I liked the picture, so I decide to purchase the cheapest digital download. My only intention was to post it here and on facebook. The picture was $1.95, at the time of purchase I was told on my confirmation email that the picture would be delived int 2-3 business days. Well that was on June 26th... and it's been over a month and I have not received my damn picture. I've sent several emails, and nothing, they don't bother to reply back. I admit, $1.95 is not a lot a of money. I won't go bankrupt for that kind of money. BUT the fact that they call themselves a business, they gladly took in my money which I gave in exchange for a product, and don't care about their costumer service is repulsive. So yeah, never ever going back to them. I wanted to tell you guys about this hair product I've been using for a few months. I have wavy hair and its dry and kind of frizzy. It doesn't help that I colored lighter and since I didn't like it, I've dyed it darker a few times already. All that dying and bleaching did take a toll on my hair, it made it more brittle and gave me tons of slit ends. One day I was searching online for product for curly hair and came across the Lush R&B Moisturizer, it seemed so good that I decided to go to Lush an buy it for myself. "Enjoy some of our smooth R & B hair stylings to control your frizzy, flyaway hair. An instant best-seller, our easy-to-use “hair finisher” uses softening ingredients of organic avocado butter, oatmeal, olive oil, extra virgin coconut oil, jojoba oil and candelilla wax because they are extremely effective for conditioning the hair and scalp. Three of our UK shop managers came up with R & B to revive and balance their wayward follicles. It works well with African American or curly hair because it conditions with a lot of moisture. And once you smell the seductive orange blossom and jasmine fragrance, your hair will truly get its groove back." The product comes in the traditional black Lush jar packaging. I LOVE how my hair looks after I apply it. It leaves it looking shiny, and never looking oily. My hair looks super healthy, and it leaves a lingering scent on my hair, I personally find the scent pleasant , my mom likes it too, but my sister hates it, so I guess it depends on your preferences. I know it is a little expensive for a hair product, but I only need a little dab for all my hair. In my opinion it is so worth it.